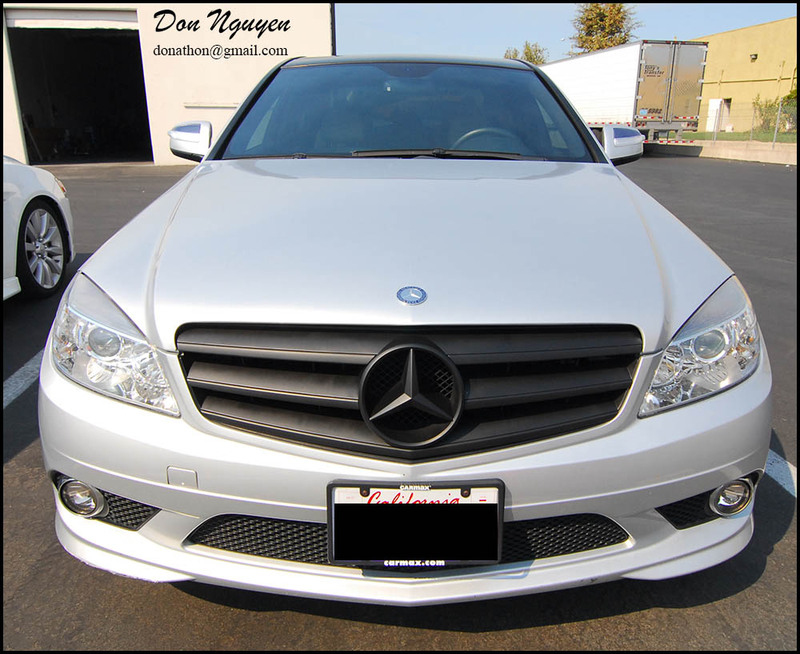 For this silver mercedes C300 sedan, I blacked out the silver and chrome areas of the grill in a matte black finish with plasti dip. 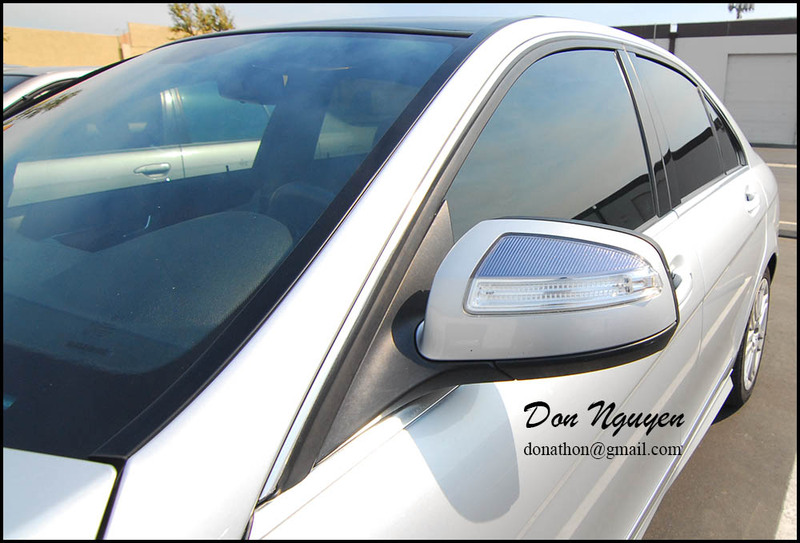 In addition to the grill, I applied a light tint/smoke film to the chrome part of the blinkers on side mirrors. 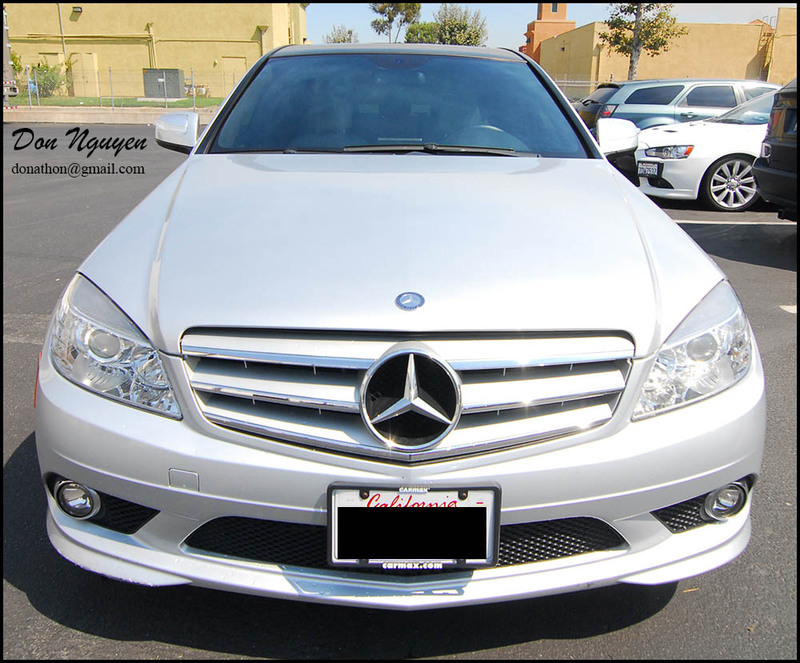 I think the black grill drastically changed the look of the car and gave it a more aggressive look. The good part about plasti dip is it is reversible and is removable just like vinyl. The owner of this car came out from Inland Empire area to me in Anaheim Hills/Orange County to get the work done.